In the fire service we all to often see the results of the decision to drink and drive. Cutting tangled vehicles apart to get seriously injured adults and children on their way to trauma centers or worse, gaining access to the remains of people so that families can be notified they’ve lost loved ones. The fire service sees this upfront and personal. Now is a chance to show how we feel about these horrible tragedies by showing up and walking with our brothers and sisters in law enforcement on March 23rd at 7:00 pm at the SC Criminal Justice Academy. What would be more powerful than several fire trucks and dozens of firefighters supporting the family members who represent those who no longer walk beside them. This is something the fire service should be passionate about. 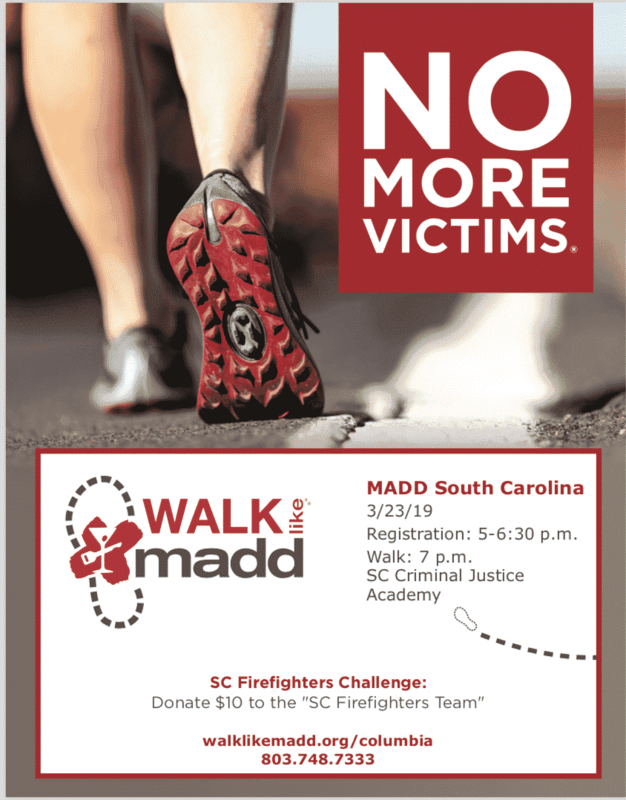 Please take a minute to review the information on the Walk Like MADD event and put 3/23/19 in your planner as a ‘must attend’. 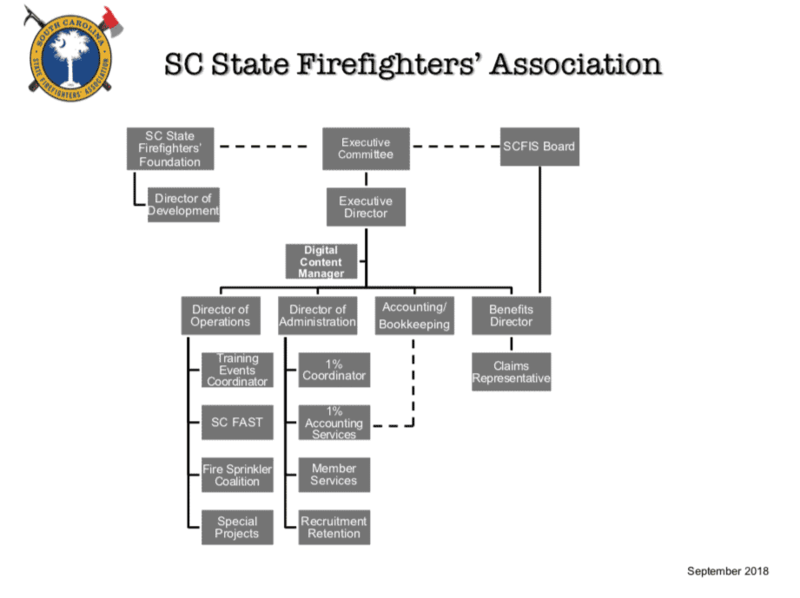 If you are unable to attend and would like to contribute even a few dollars for the walk event contact jeff.allen@scfirefighters.org or (803) 800-7486 if you have any questions. I’ll see you there.